A pigeon-infested building in the heart of Hucknall could finally be repaired after the owners were prosecuted for failing to improve its appearance. Residents said the dilapidated building at 1a Albert Street is a known spot for drug users, with up to 40 needles found during a sweep. It is also caked in pigeon excrement, graffiti, and residents fear it is “a dangerous eyesore” which has become a playground for youngsters. Ashfield District Council has been fighting with the owners – Trent Properties Limited – since November 2017 following a number of complaints. The council said the building – which has been empty for some years – is in a poor condition and has become home to a flock of pigeons. The local authority said it contacted the owners requesting scheduled work to be carried out within three months, but they failed to do so. Despite warnings and a fixed penalty notice of £100, which they failed to pay, the council had no option but to take them to court. In their absence, the council said the company were found guilty, fining them £2,000 with a victim surcharge of £170. They were also ordered to pay the council’s prosecution costs of £484.40, and must carry out the work on the property within 28 days. Baker Paul Harris, 60, who lives next door to the building, said: “It is an eyesore. Some new flats have been built across the road and that is all they are seeing – pigeons. “It has been like that for five years, ever since I moved in. It is not very nice living next to it. When I come off working nights all you can hear is pigeons. It does affect your sleep. Lorraine Pendlebury, 52, who has lived on Albert Street for seven years, said: “It is filthy – birds are living in there and rats go through the jitty. They need to knock it down because when they first cleared it they found about 40 needles and kids do go under there and it is dangerous. Talking about the prosecution, Councillor Jason Zadrozny, leader of Ashfield District Council, said: “The council have a number of dilapidated buildings on our caseload, and although some of these owners chose not to engage, we will find them to ensure that these buildings don’t remain a blight on our communities. Nottinghamshire Live tried to contact Trent Properties Ltd for a comment, but were unable to do so. My grubby pigeons may not have been quite what King’s College researchers had in mind when they published a study showing how even a short burst of birdsong – or a glimpse of blue sky, or lunch under a tree – improves mood and mental well-being among city dwellers. Perhaps something more picturesque: a jay, a chaffinch, a chatter of Cockney sparrows. We’re supposed to deplore monk parakeets, exotic invaders of our city parks, but I love their tropical call. You hear them before you see their flash of emerald feathers – and for a moment you might be on the Equator. If the pigeons get me up, the bells of St James’s Paddington mark my hours. Six chimes for breakfast, seven for a walk, twelve for lunch, five for pens down and saucepans out. On Sundays, when they ring long and loudly for High Mass at ten, I get a guilty feeling if I’m still in my dressing gown. Church bells are a comfort, too, to the insomniac. Companionable to lie there counting the small hours together. Do others feel mournful at the news that the twelve bells of St Paul’s northwest tower have fallen silent for the first time since the Second World War? They will be taken away for restoration and won’t peal again until November. No bongs from Big Ben, hushed bells at St Paul’s. The capital is strangely muffled. Birds and bells are crowd-pleasers, but there are other, more niche noises that make up a city. I’m partial to the grumble of Tube trains beneath the stalls in West End theatres. There you are on the battlements of Elsinore, Hamlet’s father’s ghost flapping his bed-sheets… and a Piccadilly Line train thunders underfoot. Also, the clank-and-smash of recycling paladins tipped into lorries, wine bottles breaking as they go. If silence is golden, then familiar, reassuring sounds are a silver second-best. I’m in Paris this week, in a borrowed flat above a school playground. At playtime, games, laughter, shouts echo up the lightwell. When the lesson bell rings, I think, with a lurch of stomach: ‘Double maths.’ It’s wonderful to realise each time that the bells aren’t summoning me. B.F. Skinner was a leading 20th-century psychologist, who is credited with helping to understand the relationship between behaviour and the external environmental factors. In one of his experiments, Skinner trained a bunch of pigeons to tap on a plexiglass to earn their food. This research is credited with the genesis for how engineers in the 21st century could play with the human mind to set out the trap of the world wide web. What Skinner managed to do with pigeons, 21st-century coders have achieved in structuring the internet. Skinner’s experiment was simple. The psychologist set up a plexiglass cage in which he kept a few pigeons. When these pigeons tapped on the glass, he set up an arrangement to ensure that the birds got a reward after a set period of time. The birds tapped the glass at different frequencies and found success at the set moment. When he then set erratic times for the dispensing of food, the birds went crazy. Reportedly, one pigeon pecked the plexiglass 2.5 times per second for 16 hours. But how does this apply to how humans use the internet? Look back at how you started using the internet. It started out with checking emails. It was an easy method, you didn’t have to decipher any weird handwritings and the email, unlike written communication, almost never got lost. When the internet came into your phone from your desktop, you checked it more often. Now, the relay of messages started happening in real time on apps such as Whatsapp and Slack. A study states that an average person now checks his phone about 2,617 times a day. Of course, this isn’t just office email. But the sheer frequency indicates that things are going out of hand. To put this in perspective, in a day, Skinner’s pigeons would have struck the glass 1,44,000 times to get food. An average millennial checks their phones at a frequency a lot similar to Skinner’s pigeons. What’s different here is that this action does not translate into an end product, that is necessary for human survival. Therefore, it’s evident, that basing the structures of the internet on Skinner’s model, was a fruitful decision indeed. Psychologists warned us of internet addiction in 1996, three years after it was formally introduced. But is internet addiction, really the fault of those using it? Or is it simply a network constructed with the ultimate motive of entrapping and addicting its users? In his book, “The Subtle Art of Not Giving A F**k”, a #1 New York Times Bestseller, Mark Manson brings up an important point talking about blame and responsibility. He says that while it is okay to blame someone for something, it then becomes the affected individual’s responsibility to move on. The concept is rather like the economic caveat emptor. You use something; you read something, it becomes your responsibility to deal with it in a proper way. The primary motive of organisations on the internet is to generate revenue. And that is usually done through advertising. They create an ‘attention economy’. Now to meet their desired results, these organisations need to create a structure that makes its users return. In psychological speak, they try to create a compulsive tic to meet their needs. This compulsive tic is generated rather easily. Most platforms on the internet, particularly social media, run on a pattern. This is because their future depends on their ability to cultivate habits of the users, and hook them onto their product. They employee people, whose primary aim is to break the user’s willpower. In particular, they use a strategy described in Nir Eyal’s book “Hooked”. As a consultant to companies in the Silicon Valley, Eyal turned his experience into a book, teaching thousands of engineers worldwide, how to create a craving in the minds of users. This process of addiction has four simple steps – you need a trigger (something that makes you take notice or get started), an opportunity for an action that is not predictable, a reward and an investment. It must be noted here that there was one more integral part of this process that needs to be kept in mind. The investment must be gradually increased every time until the person is fully invested in the four-step process. This is when an individual gets hooked. The easiest example of this process is Snapchat. When you open the app, the trigger awaits – a list of names who have posted snaps. Then, an opportunity for action presents itself, regarding the stories you can watch, but what a user may be able to see, is unpredictable, creating the basis for the tic. Once the stories load, comes the reward, a peek into the lives of someone else. Further, being able to reply, replay or react creates investment in the action. Every time you open Snapchat, the same process repeats itself. Most readers would now agree, that the process has become so ingrained in our lives, that every time we pick up the phone, we reload Snapchat, looking for more stories. This is when you’re hooked. You know how apps like Instagram and Twitter take a few seconds to load when you switch them on? That’s no accident – the wait makes the reward far more appealing, leading to a rush. Much has been said about how social media influences our emotions and the need to educate users about proper use to ward of addiction. However, we need to consider – Is it a fair fight between the users and developers? Is this not, addiction by design, a phenomenon many are under, but most do not understand? If the there is indeed an industry that is so blatantly exploiting the tendencies of the human mind, creating platforms based on the same experiments that have gone on to help prove the effectiveness of drugs, then is it a system that is safe for approximately 7 billion people to be exposed to? In 2004, Facebook was fun. Come 2017, Facebook is an addiction. This timeline is valid for all social media platforms, maybe even for the one, you’re reading this on. They are designed to keep you addicted. So what are the solutions? How do we ‘not get addicted’ to a technology that runs our life now? Unlike drug or alcohol addicts, we cannot abstain from the internet. Life would be too tough. Fewer and fewer jobs allow you to not be looking at a screen. What can be done is limiting the use of the internet. More importantly, as users, it is important for us to understand its structure – to realise that it is a platform built to exploit our impulses. That perhaps can mitigate their harm. Figuring out the exact moment of addiction is tough. What you can do, however, is try to curb your own addiction by ensuring that you limit your time on the internet. Recognise the appeal of meeting people in person, rather than following their lives online. Most importantly, teach your children the correct way to use and understand social media and the internet. It’s understandable that tech companies would want to collaborate with marketers and make their platforms as addictive as they can. It’s their business, and they won’t want to not make profits. But as users, we need to demand a more ethical design practises the same way we demand more ethical environmental practices. In a monetary and competitive environment, sometimes change can only come from a bottom-up approach. Steve Jobs himself has told many journalists tales of how he keeps his children away from the iPad – one of his most successful creations. Similarly, the editor in chief of Wired, a magazine that talks about technology and the internet too, keeps his children away from screens. If tech bigwigs can understand the dangers of the internet, why can’t we? 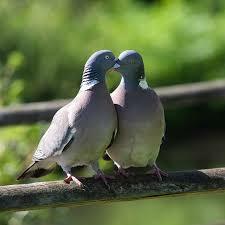 Redbridge Council has warned that pigeon feeders face an £80 on the spot fine and a possible £2,500 trip to court. In a statement issued on its website, the council reminded the public that giving food to birds could cause health and sanitation risks. “If you feed pigeons, they won’t eat everything you give them and the leftovers attract rats and mice who can in turn spread diseases to humans,” a council spokesman said. “You’re really not helping the pigeons by feeding them bread and snacks – this can actually lead to them becoming malnourished and dying due to eating food which is not their natural diet. In April legislation came into effect to make feeding pigeons an illegal act in Ilford town centre. A Public Space Protection Order (PSPO) – which gives authorities more powers to tackle low level anti-social behaviours such as spitting and public urination – could be used in pigeons feeding cases. Officials there reportedly are trying to be as nice as they can about reducing their numbers. They’ve built a hotel for birds. The plan: lure the pigeons there to nest, and then steal their eggs. Good morning. I’m David Greene. Portugal has a pigeon population problem. And The Wall Street Journal reports officials in Lisbon are trying to be as nice as they can about reducing their numbers. They have built basically a luxury hotel for birds. The plan – lure the pigeons there to nest, then caretakers sneak in and steal their eggs. The birdhouse has fresh water, gourmet bird food, even a nursery, which makes you wonder if the pigeons are somehow outsmarting the humans here. It’s MORNING EDITION. THE Gauteng Pigeon Union (GPU) liberated the pigeons in a combined liberation from Cradock in the Eastern Cape on Saturday. The weather was partly cloudy with no wind at 6.30am when the pigeons were liberated. This race was also a car nomination race where members of the various unions and federations could nominate pigeons at R150 each with the chance of either winning a car/bakkie or receiving a cash payout, depending on how many fanciers participated. The results of the car race will only be known in a couple of weeks, once all the results have been verified. Riverpark Pigeon Club had 16 members flying 180 pigeons in this race. Cradock is an average distance of 714km for club members. The winds on the way home for the pigeons were mild north-westerly in places and the temperatures in the Free State were in the mid to late 20s, making for a better race than the previous week. Winning by a margin of five minutes and five seconds, and his first win of the season, was Connie Coertse. Connie also earned bragging rights as he only basketed the one pigeon for this race. The time margin difference for second and third places was the same (0:05:05) and the only way the computer system could calculate these two positions was on the velocity of the pigeons. In second place, by only 18mm, was Beano Daschner, followed by Tallies Lofts (Johan Taljaard). This is the second time this season that the club has had such a close margin between two positions on the result sheet. Connie Coertse 1st; Beano Daschner 2nd, 10th; Tallies Lofts (Johan Taljaard) 3rd, 8th, 13th, 18th; Flip van Staden 4th, 21st, 29th; Sky Lofts (Corrie Moller) 5th, 23rd; Doves Nest Guest House (Gawie Botha) 6th, 14th, 19th, 24th, 30th; Blackie Swart 7th, 9th, 11th, 26th; Le Roux Lofts (Pieter le Roux) 12th; Hilton Pitout 15th; Pieter van den Broeck 16th, 25th; G & E Lofts (Graham Cheary & Elaine Russell) 17th, 20th; Fred van Rensburg 22nd, 27th and Reinhold Brichta 28th. On Saturday the GPU will liberate the pigeons from Richmond in the Northern Cape for the Old Bird National in a combined liberation. The Miami man convicted last month of murdering a friend over prized racing pigeons has died after a suspected suicide attempt in jail. Lazaro Romero, 47, was found unresponsive inside his cell at the Turner Guilford Knight Correctional Center earlier this month just as South Florida was scrambling to prepare for the arrival of Hurricane Irma. Romero was taken to a nearby hospital, where he later died on Sept. 7. His death is being investigated by Miami-Dade police detectives. Authorities have not disclosed how Romero died, and the Miami-Dade Medical Examiner’s Office has yet to rule on a cause and manner of death. It was a tragic end for Romero, who was convicted of the November 2013 stabbing death of Yoan Vazquez in Miami. The killing roiled the small but devoted South Florida community devoted to the sport of pigeon racing. The sport is particularly popular in Cuba, where Vazquez and Romero first learned how racing pigeons. A Miami-Dade jail spokesman declined to comment because of the ongoing investigation. Prosecutors said Romero believed Vazquez owed him 20 prized racing pigeons, and went with his brother to the man’s home to get them back at knife point. Romero and his brother attacked Vazquez in his backyard — while the man’s 6-year-old daughter watched. Romero did not stab Vazquez; it was his brother, Freddy Romero, who delivered the fatal knife thrusts. Freddy Romero pleaded guilty and is now doing 25 years in prison. At trial, Romero’s defense lawyers said he never planned to hurt Vazquez — and had no idea that his brother would fatally stab the man. The jury on Aug. 31 deliberated less than two hours before deciding he was guilty of second-degree murder. Romero had been out on bail before the trial, but was taken back into custody after his conviction. He faced up to life in prison, and was to be sentenced sometime in the coming months. Sidwell Street traders’ spoke of their horror after witnessing street drinkers stuff 14 live pigeons into a rucksack – in a cruel act believed to be food-gathering. PCSO Sarah Giles, part of the city centre’s policing team, described the unbelievable incident as part of ‘blatant pigeon eating’ recognised by police, and has pinpointed a particular group of drinkers responsible. One anonymous trader said the incident, on August 31, which took place over 20 minutes, was “horrifying” to witness. “I was horrified. I know there are too many pigeons and I’ve never been a fan, but how can you be so cruel to an animal? That to me was cruel. PCSO Giles said geese and swans have been reportedly captured by the river in the past, and that it is all down to a particular group of “street attached” drinkers. “Many of this group are housed, in B&B’s, bedsits or small flats. She worries it will soon fall foul of the “broken window” theory – that if you leave a broken window unfixed another will break, and the area will soon be disrespected. “It is still early days, but I am hugely optimistic it will help,” she added. I assured her the birds we were going after probably had never even been in the city limits of Lone Oak, the nearest “town” to where we were hunting. These were “wild”, feral birds that made their living just like other wild birds, eating seeds and grain around farms in the area. Little did I know just how “wild” these birds really are! A few days before the hunt, the UPS man delivered my new air shotgun, complete with pre-loaded shot cups with #6 and #8 shot. I’ve been shooting and hunting with PCP air rifles for several years. These are not your grandfather’s air rifles. They charge up to 3,000 psi. of air pressure via scuba or carbon fiber tanks and the big bore rifles have enough power to harvest any animal in North America. I have a .25 caliber that is absolutely lethal on small game. But this Wing Shot air shotgun was totally new to me. I promptly charged the shotgun to 3,000 psi., loaded it with a shot cup containing a little over an ounce of #6 shot, placed a quarter inch piece of plywood against a safe backstop, stapled a square of paper to the plywood, stepped back 25 yards, centered the shotgun bead on the center of the paper and fired my first shot. With the discharge of the pressure, I knew the shotgun was shooting hard. Upon closer inspection of my target, I was amazed at just how hard! The pattern from the choke was well dispersed in a 14-inch diameter circle on the paper; the shot had penetrated through the quarter-inch plywood. I was convinced this gun had plenty of power to use on a bird hunt. Air powered guns are not legal on any game animals or birds in Texas with the exception of squirrels. This rules out the use of air on dove or quail or any of the migratory species but feral pigeons aren’t game birds and neither is the exotic dove species such as the Eurasian dove that is becoming common through much of the state. Hanson had scouted a big hay barn situated in the middle of a cow pasture the day before and asked his “kin folks” that owned the land if we might go out for a late afternoon shoot. We pulled up to within a couple hundred yards of the barn and through binoculars, could see a big flock of feral pigeons setting on the beams that supported the roof. Occasionally, a small flock would fly out to pick grit from a sand pile out in the field or fly to a nearby electrical line. Hanson and I had an ice cooler along for the birds we expected to harvest. We even had a plan for cooking them. Grilled pigeon breast with jalapeno and garlic wrapped in bacon was on the menu and from our vantage point a couple hundred yards away, this should be an easy shoot! Were we about to get educated in the ways of the feral pigeon! These most definitely weren’t the docile “park” birds my wife gave reference to. About thirty minutes before dark, the desire to roost caused the birds to come back to the barn but much to our despair, they didn’t simply fly inside the enclosure and land on a rafter. No, they circled high and then landed “ON TOP OF THE ROOF!” These birds were smart and we came to the conclusion that to harvest them, we would have to devise a better plan. Picture this — two grown men inside a big, open hay barn, hidden beside the tires of trailers or tractors, listening to what sounded like hundreds of bird feet clicking on top of the metal roof. These birds were driving us crazy! Only fifteen feet above our heads it sounded as though these pigeons were having a big square dance. We could hear them cooing and clicking up their heels! Finally a pigeon that had either been consuming too many fermented berries or possibly tired of just being “one of the flock”, hovered outside the roof, contemplating coming in and landing on a comfortable steel beam inside the barn. Hanson jerked the trigger on the Wing Shot and the pattern centered the bird. It was obvious that the power of compressed air in a shotgun generates enough power to cleanly harvest birds but Hanson and I felt a bit cheated by these “super” pigeons. The next time I hear someone use the term, “pigeon brain”, do I ever have a story to relate that might just change their way of thinking about these “dumb” little birds! PESHAWAR: Amid awareness campaign launched by the provincial government for the dengue-affected people in the provincial capital, the mosquito-borne disease on Sunday infected 310 more people in Khyber Pakhtunkhwa. According to government officials, 26 people have so far lost their lives as a result of dengue virus in KP. The provincial Health Department reported that sessions were conducted in the government-run schools in the dengue-hit Tehkal and Pishtakhara union councils, where the virus was reported in July this year. The awareness sessions were started three days ago where health experts informed local residents about dengue and its breeding causes and gave them useful suggestions for remaining safe from dengue mosquitoes. The government is stated to have spent millions of rupees by providing services to dengue patients in the public sector hospitals, conducting larvicide sprays in the affected areas and distributing mosquito nets and repellent lotions among the residents of Tehkal and Pishtakhara. However, these efforts by the government didn’t help control dengue virus and it has been infecting 300-400 people every day. Health experts are of the opinion that there are still open water reservoirs in different forms in the dengue affected areas where thousands of dengue larvae are breeding. “Since weather is quite hot therefore majority of the people are using water air-coolers in their houses and work places. These air-coolers are the among best places for dengue breeding,” a health expert at the Khyber Teaching Hospital (KTH) opined. Pleading anonymity, he said some of the people in Tehkal and Pishtakhara had kept pigeons on their rooftops where water was put into pots, saying they found dengue larvae in air-coolers and in pots from which pigeons drank water. Meanwhile, the Dengue Response Unit confirmed that 1,527 people were taken to different hospitals where 310 were discharged with dengue. It said of the 310 patients, 120 were admitted in hospitals and 116 were discharged from hospitals their recovery. Presently, according to DRU, 365 dengue patients are under treatment in different hospitals of the province. Khyber Teaching Hospital, where 917 patients were taken with fever and body ache, 196 of them were diagnosed with dengue. At the moment, KTH is providing services to 235 indoor dengue patients. Around 42 patients tested positive at the Lady Reading Hospital (LRH) of whom 28 were admitted in the hospital. The Hayatabad Medical Complex also diagnosed 45 patients with dengue. It had received 156 patients. The Naseerullah Babar Hospital in Peshawar tested two patients dengue positive. Similarly, Mansehra reported nine dengue positive cases, Mardan eight cases, Buner four and Abbottabad two cases. PLANS to install netting at an iconic Knutsford building in an attempt to move pigeons on have been agreed by a town council committee. The window areas of the Gaskell Memorial Tower at the Belle Époque will be blocked by netting, similar to that at The Courthouse, to deny the birds access. 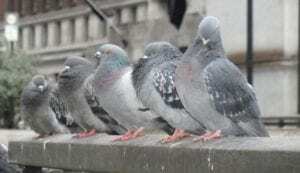 The tower and surrounding buildings have become overrun with ever-increasing flocks of pigeons, furthering the issue of pigeon fouling in the town centre. Members of the town council’s assets and operations committee voted to allocate almost £6,000 to the project, which would also see blunted spikes installed to prevent roosting. Town clerk Adam Keppel-Green wrote in a report to members: “The committee has previously discussed the issue of pigeon fouling within the town centre and the environment committee is looking at town centre-wide options to reduce the overall pigeon population. “It is proposed to install netting to the window areas on the tower, building and side building to prevent birds infesting the area. The netting will enclose the affected area and deny the birds access. “This will involve installing steel fixings at each corner and at 500mm intervals to which wire and netting is then attached. There are existing areas of netting on the building already. Netting would be translucent to minimise any visual detraction from the listed building. “Bird point would be affixed to the top ledges of the tower, ledges on the tower and on the piping around the building. The points are blunted and do not harm the birds but prevent it from being able to balance which encourages them to find a new place to roost. “Whilst installing the netting and bird point existing bird fouling in the areas would be cleaned up. “The council’s agent would oversee the works and arrange for listed building consent if required by the conservation officer. The council’s environment committee voted last month to explore further the installation of dovecotes in the town centre, with a budget of £2,600. Installation will follow discussions with businesses and groups, and will allow for easier destruction of eggs to control the population growth. There are many ways to offer tips about crimes to Smiths Falls and District Crime Stoppers – social media is not one of them. In a press release, Crime Stoppers say they appreciate all the help and support from the community especially when the tips help solve crimes. “So far, 2017 has been a stellar year both in terms of volume/quantity of tips that have been received and the financial support that the community has provided in order to pay our rewards,” the release states. * Text Message: text to CRIMES (274637); in the message field, type “tip252”. Some of the tips Crime Stoppers has received in 2017 have arrived in some unusual forms, they said, and they want to stress how potentially unsafe this may be to our tipsters. * Anything other than the three methods previously mentioned by Crime Stoppers. This reminder is being provided so that Crime Stoppers can continue to make sure that our tipsters always remain anonymous. Anonymity keeps tipsters safe. “Crime does not pay, but Crime Stoppers does,” is their motto. Did you know that Crime Stoppers does not receive government funding from any level? It relies on funds raised by the board members of each individual program and on donations provided by the public. Crime Stoppers does make a difference in our community. A lane behind a number of popular Swansea city centre restaurants has been labelled an environmental threat because overflowing bins there are claimed to be attracting rats. The lane in Castle Street is where a large amount of rubbish from several sources is left out for collection in the same place. Kevin Casey is a resident of Baron’s Court which overlooks it and was extremely concerned by the situation. “I used to live in Townhill and people say that Townhill is a dump, but it’s heaven compared to this place,” said Mr Casey. “There is a lane behind a number of shops and restaurants in Castle Square and it is absolutely filthy. “There is rubbish all over the place and there has even been rats there. “I know the council come and clean some of it up but they don’t solve the root cause of the problem. “They need to send enforcement officers and tell people to stop leaving rubbish all over the floor. “I have complained to the culprits. The Council are soft and just don’t do enough. But the owners of various restaurants and businesses in the area said they were unsure as to who was responsible. “It is absolutely disgusting but we don’t have a lot of rubbish ourselves,” said Anna Redfern, the owner of Cinema &amp; Co.
A restaurant owner, who asked not to be named, said: “We don’t know who the culprits are but it is annoying us as well and we have been on to the council. “We have four bins round the back and we always put our rubbish out properly. A Swansea Council spokesman said: “Our cleansing team regularly visit this area to ensure that fly-tipped waste is removed, but we will continue to monitor the lane and will contact businesses there to remind them of their waste management responsibilities. Pigeons have been ruffling the feathers of taxi drivers by leaving their calling card on a Tayside street. Grant Donald, 57, said pigeons are roosting on the top of buildings at Monifieth High Street beside the taxi rank — and their mess is being brought into cabs on customers’ shoes. He said: “Every day when we arrive here there is a terrible mess on the pavement below. “Basically the pigeons seem to roost on the ledges of local buildings and their droppings leave behind a terrible mess on the pavement below. “It’s very unhygienic — the pigeon poo is everywhere. “There’s loads of it and people walking along the pavement can’t help walking through it. “It’s getting brought into our taxis on the soles of people’s shoes. Fellow taxi driver Trevor Rooney said that the problem had been going on for some time. He said: “I’ve complained to our councillors about it in the past, but it continues to be a huge problem. “The pigeons sit above the street and their guano drops onto the pavement below. “The council do try to keep on top of the problem by cleaning the street, but there’s always loads of it left even after they have been along to try to clear it away. “Some other kind of action needs taken to deal with it. “I would hope that there is something that Angus Council can do. “The mess is unsightly and it is very unhygienic. Shona Gibb, co-owner of the Coffee Pot, said retailers had attempted to tackle the problem in the past. A spokesman for Angus Council said: “Removing food sources is the single most important factor in reducing the number of feral pigeons and gulls in town. These days, there are a multitude of different scams, each one designed to part innocent people from their hard-earned cash. From African princes to credit card scanners, pyramid schemes to hard luck online stories, they are as varied as they are many. However, fraudsters in Nanjing, Jiangsu Province have turned to a more ‘pi-genius’ mode of theft – in the form of the common carrier pigeon. The latest scam involves strapping fake lottery scratchcards to a pigeon’s leg and then waiting for unsuspecting passers-by to discover it and ‘claim’ their winnings. One such victim was a woman in the city who was travelling to work on Wednesday. After peeling the card from the pigeon, she was amazed to find that she had won second prize, which just happened to be more than US$41,600. When the lady dialled the number to claim her winnings, the voice at the other end of the line told her that US$7,400 in tax would have to be paid in order to free up the money. Fortunately, she realised it was a fraud and called the police. The good news is that while the fraudsters appeared to be ‘winging it’, the pigeon has been released and officers are investigating. Hopefully this is a scam that will not take off and that the criminals are cooped up for a long time. One part of Indonesia has experienced an unusual surge in divorce rates, attributing it to the pigeon-racing addiction that has gotten out of hand. According to an official at the Religious Court in Purbalingga, Central Java province, their office received 90 divorce petitions in July alone, which is a dramatic increase compared to just 13 in June, the Jakarta Post reports. Most of the divorce petitioners are women, for a number of obvious reasons, especially financial, as men are racing pigeons instead of working and thus helping their wives feed their families. “Most of the petitioners are wives who have filed divorce petitions for economic reasons because their husbands are too addicted to pigeon racing,” court clerk Nur Aflah. “In Purbalingga, there are many female workers while most men are unemployed. Most of the husbands end up becoming ‘pilots’. Here, a ‘pilot’ does not fly a plane but races pigeons,” she explained. Neglect is also another important reason, as husbands seem to be spending way too much quality time with the birds instead with their families. Things are made even worse because pigeon racing is usually accompanied by gambling on the potential winners. This habit has apparently further deteriorated the families’ financial situations. The court has ordered the local government and clerics to try and reduce the divorce rate in this regency by talking with the men and providing advice. A similar phenomenon has also been reported in Banyumas, Central Java. “His bird is the first thing he grabs when he wakes up. At around 10 o’clock, he goes out with his friends to play with their pigeons in the fields nearby,” said Sartini, 35, a villager of Bojongsari. Although her husband sometimes gives her money from his winnings in pigeon races, he more often asks her for money for cigarettes. Interestingly, the last pigeon to return to the coop is declared the winner, not the first. Previous Earth First articles have dealt with the issue of threatened species, how human activity has contributed to their threatened status and what could be done to save them from extinction. This week readers are invited to read about three examples of human-bird interactions which should cause us to consider our responsibilities to the other living creatures on our planet. The passenger pigeon in the mid-19th century was not only the most numerous bird in North America, but probably in the world, with an estimated population of three billion. Reports were made of a huge flock a mile wide which blocked out the sun for three days. Demand for their tasty flesh resulted in the passenger pigeon being being hunted indiscriminately, which, added to habitat destruction due to forest clearing, resulted in their downfall. By 1871 their numbers were down to 136 million. Despite this dramatic reduction in their population, a leading huntsman stated “shooting and hunting (of these birds) should continue. No exploitation could endanger a creature so abundant”. So shooting, trapping and the torching of nesting sites continued. Our huntsman was wrong. By 1900 there were no passenger pigeons left in the wild. Two other bird species on our own doorstep have been also savaged by the human race, but have so far avoided extinction. The magpie goose, an Australian native species with a population of approximately three million, has been killed in great numbers for food. Quotas have been reduced in the face of dwindling numbers and open season now only lasts 11 weeks. Nevertheless a licenced shooter can take seven geese a day, so if 100 licences are issued, the “take” could theoretically still be as high as 54,000 birds. The American hunter believed no amount of exploitation could affect a creature so abundant … and they had three billion pigeons, while we have only three million geese. Can we learn from the American experience? Another example is the short-tailed shearwater, also known as muttonbird because of its tasty flesh and the fact that it provided a staple diet for generations of early white settlers. Mutton bird oil lit lamps and was used for cooking. Their eggs were a highly-prized delicacy. Unfortunately, since white settlement millions of muttonbirds have been killed for their eggs, flesh and oil, but unlike the passenger pigeon, they seem to have weathered the slaughter and their numbers remain strong. They are now protected. Some would say that these examples are from less enlightened times, and that we have developed a better and more ecologically sound relationship with our feathered friends. Let us hope so, but the past shouldn’t give us cause for too much optimism. The value of Where Song Began by Tim Low and Viking Books for the statistics in this article is gratefully acknowledged.